Great unused replacement for the super expensive Kronus time clock that has fingerprint identification on it. The entire assembly measures 5-1/4" x 4-9/16". 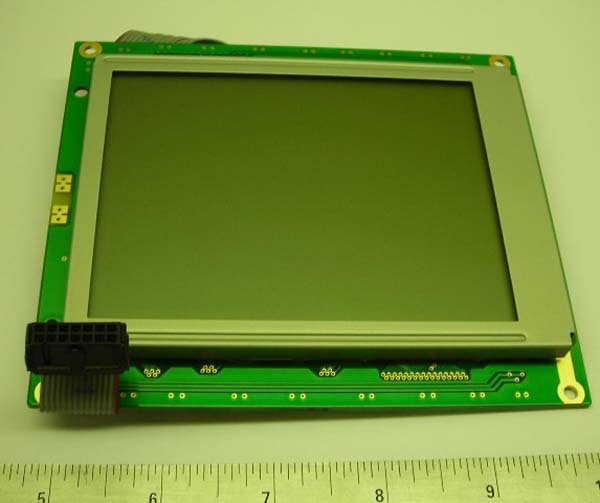 LCD screen is 3" x 4". 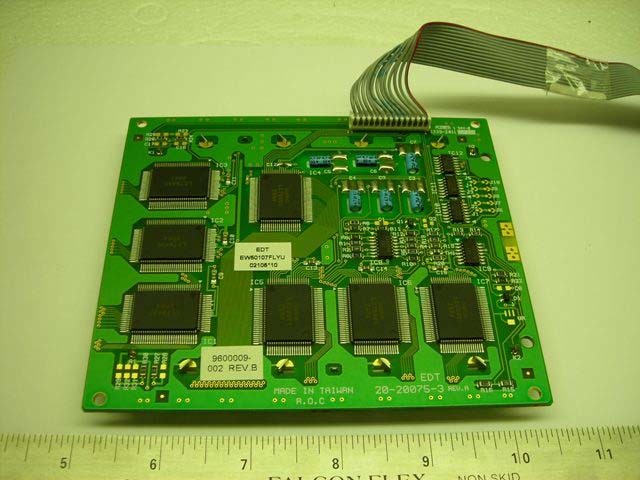 Has numerous integrated circuits on the back (mostly sanyo LC79401 2PR4) and also some small capacitors. Has a 14 hole female plug and the cord is 8" long. Contains number 3601021-001 on the cord. Was originally used to display numbers and letters in a format similar to an atm machine. Unused and a rare find!